On August 6, 1974, a bomb exploded at Los Angeles International Airport, killing three people and injuring thirty-five others. It was the first time an airport had been bombed anywhere in the world. A few days later, police recovered a cassette tape containing a chilling message: "This first bomb was marked with the letter A, which stands for Airport," said a voice. "The second bomb will be associated with the letter L, the third with the letter I, etc., until our name has been written on the face of this nation in blood." In The Alphabet Bomber: A Lone Wolf Terrorist Ahead of His Time, internationally renowned terrorism expert Jeffrey D. Simon tells the gripping tale of Muharem Kurbegovic, a bright but emotionally disturbed Yugoslav immigrant who single-handedly brought Los Angeles to a standstill during the summer of 1974. He had conjured up the fictitious group "Aliens of America," but it was soon discovered that he acted alone in a one-man war against government and society. 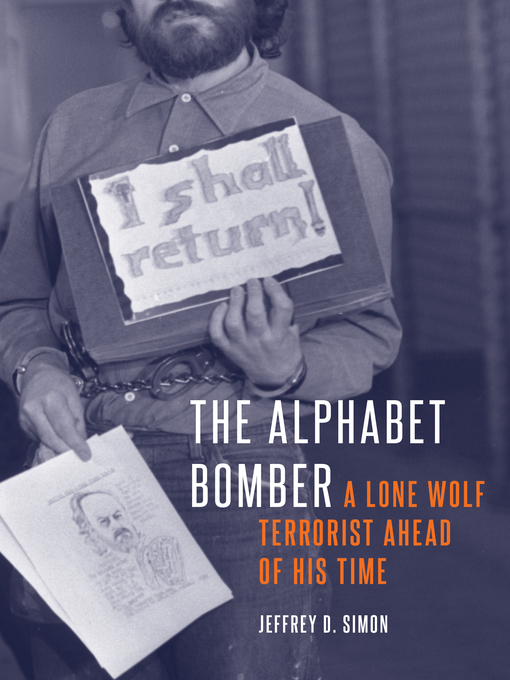 The story of the Alphabet Bomber is about an extraordinary manhunt to find an elusive killer, a dogged prosecutor determined to bring him to justice, a pioneering female judge, and a devious mastermind whose heinous crimes foreshadowed the ominous threats we face today from lone wolf terrorists.